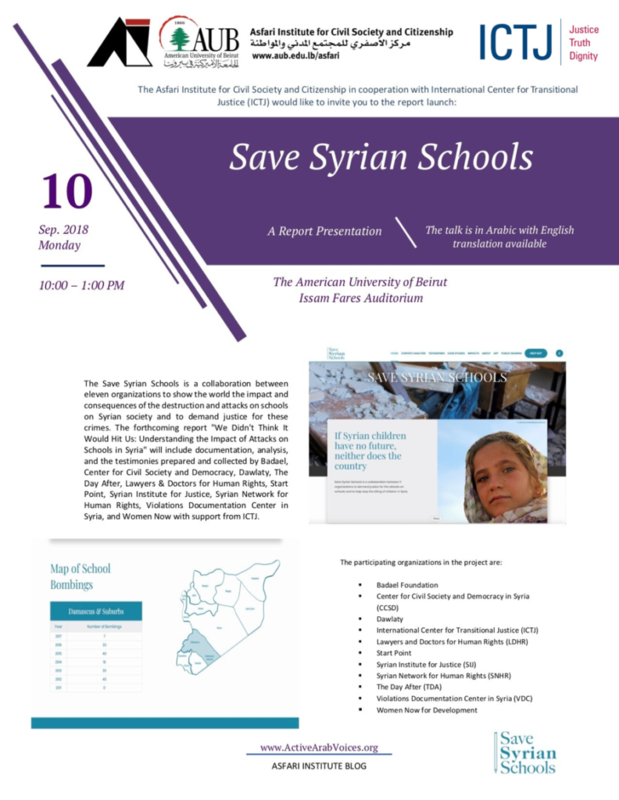 The launch of the Save Syrian Schools report is less than two weeks away, and your presence would be greatly appreciated! The Center for Civil Society and Democracy (CCSD) is pleased to invite you to attend the launch of the Save Syrian Schools report. The report is the result of a project that brought together 10 Syrian organizations along with the International Center for Transitional Justice (ICTJ) in collaboration. Work was conducted over more than a year. This event is the continuation of a previous event that took place in Geneva (in March 2018) which aimed to mobilize international support for stopping the the targeting of schools in Syria.